I’ve had three poems accepted so far this year, and they all showed up on the internet this month. Here’s something about them. First to “go live” was “Thickening” at 3 Elements Review: http://3elementsreview.com/current-journal. 3 Elements puts out a prompt each quarter. I’ve been trying them for almost a year, now. This was my first success. The prompt was “miasma, simmer, whimsy.” Unfortunately, they seem to have decided their prompts were too easy. This quarter’s prompts are two word phrases. Ouch! They’ve gone over my head. Heron Tree accepted “Green”: http://herontree.com/young1/. This poem also came from an exercise, though it is far removed. There is a poetry exercise in wide circulation by Jim Simmerman called “Twenty Little Poetry Projects.” His claim is that if you follow his instructions to write 20 lines according to his criteria, you’ll end up with the basis of a poem. I never got all 20 items in, and half of them fell out in the revision process. But I do have the poem to suggest his system works. The third poem developed from no prompts but my own ideas. “American Dreaming” is included in Kind of a Hurricane Press’s anthology titled “Objects in the Rear View Mirror.” This piece is not very accessible; you have to download the ebook version of the anthology and go to page 143: http://www.kindofahurricanepress.com/p/bookstore.html. All the pieces are about driving. My piece is mostly about maps, including the colors of roads (see my post of July 7). I also brought Route 66 into the poem. I didn’t realize until I moved to New Mexico that Route 66 nostalgia is much older and broader than the television show. As a teenager I was a fan of that show, but I could never see why, of the buddy heroes, the dark one (George Maharis) got all the press in the magazines. I liked the tall blond (Martin Milner) better. It was evidence that I was not in the main stream. If you’ve read my poems or some of my blog posts, you know there are still ways I don’t fit in. Now I like it that way. Today, February 8 completes three years on this blog. It has had its busy and its slack times, but I’ve enjoyed it all. 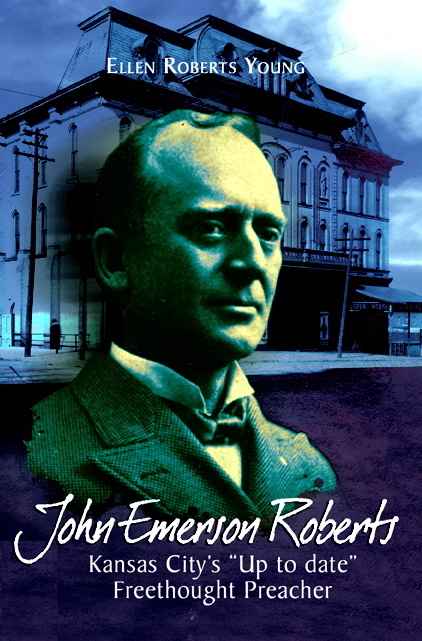 I began this blog to publicize my biography of John Emerson Roberts. This was one piece of an effort which involved a variety of Linked In Groups and even Linked In Ads, as well as connecting with other bloggers. future have poetry books to advertise – and now I have one. I realized as soon as I came up with the title that these are indeed two sides of my mind, as my subhead says. My left brain thinks about ideas and my right brain creates poetic material. Sometimes these two sides cooperate, sometimes they wander down different trails. And there are times when my left brain pretends to cooperate but really wants to run the show. Those times do no produce successful poems. My father-in-law used to count his age not by years completed, but by the year he was in. He was well into his 99th year when he died. Today is not the end of three years for this blog. It is the beginning of the fourth year. And I plan to keep going, though I have no plan laid out for it. Please check back to see what I come up with. And check out my books on the Books page. These statements come from Mary Ruefle’s book of lectures/essays, Madness, Rack and Honey. There is plenty more in the book to savor, ponder, and even question―or to play with as a prompt, if you like. Ruefle is a complex person, as these samples suggest, and she doesn’t worry about smoothing over complexities or contradictions. Ruefle has published several books of poetry. She is also known for “erasures” in which she takes a printed page and removes all but a few scattered words to make her artistic statement. See http://www.maryruefle.com. I have been learning a lot about tanka from Ribbons, the journal of the Tanka Society of America – too bad the acronym is in such heavy use elsewhere – and I have been experimenting with the form. Sometimes, I know all I’ve got is a five line poem. In the following two short pieces, the play of homonyms took over. shore up the Jersey shore. about where the fault lies? the road no sled or ski course. Have fun with words. You never know what might come of some word play. The soldiers are children and the monkey’s young. a throat filling, refilling with blood. dashed her head against the breadfruit. and hurls him toward the tree. See, she says, you have to be rough. heart too pulsed in her throat. as if my job were an affliction. The flaming city makes it rain. The siege has changed the weather. and what I saw there. Griswold says a lot in short, tight poems. I recommend this book because these poems make vivid some of the situations in the world which flood our news, yet are kept at a distance by the television or computer screen. This is important work for poetry to do. This question is in the context of her conviction that poetry and science are similar processes, in which we seek to learn the true relations of things. And in both cases, she believes that the answers come in the form of questions. Science is not static; the universe is not static: poetry is not static. Each moves. And the motion of a poem is motion in time, like music. Science is not, properly speaking, a study of objects. The poem is not words or images, which can be separated for study; it is a series of relationships between words and images. These are a few of the stimulating ideas from Rukeyser’s “The Life of Poetry” first published in 1949 and reprinted in 1996. By her title she suggests that poetry is living, organic. Poems do something in the world. The poet and the scientist are on parallel paths. I think Rukeyser’s ideas are supported by some of the developments in science since she wrote; the poets may be having trouble keeping up. Poets talk a lot about line breaks. There is even a site called linebreak.org, as if that were a synonym for poem. We need synonyms for “poem” because there is so much debate about what counts as a poem. James Longenbach takes a different view. Lines don’t break, he insists. They just end. It is the sentence structure that may or may not be broken by the end of the line. Some lines are end-stopped, when a sentence ends where the line ends. Where the line ends with the end of a phrase, Longenbach calls it “parsing.” Where the meaning goes right past the end of the line and into the next in order to make sense, Longenbach calls it “annotating” – a term from a Milton scholar. Milton did a lot of this. Often in these lines the sense appears to end but doesn’t – the meaning is changed by what comes in the next line. This play with terminology is a good reminder not to get stuck in habitual patterns, whether in writing poems or talking about them. Labels are a hindrance to thinking new thoughts and seeing things in new ways. “The music of the poem,” Longenbach reminds us, “”depends on what the syntax is doing when the line ends.” There is no better or worse in the ways the syntax can be broken – or not. Variety is what makes the poem effective. Walking in this desert I can picture you at work in your study because I have also walked on cobbled streets by Independence Hall, seen portrayed the men who met there, your contemporaries. Your manse in a northern town at a river’s mouth calls to mind rocky shores I’ve walked on, their ten foot tides; I can see you there. Yet, walking on sand I too easily picture your heath as always yellow, forget your concrete details do not become sidewalks, driveways alongside asphalt roads. You have no need to bind with cement, build on your discrete images; all point in the same direction, while my direction shifts with desert winds. Check out http://www.linebreak.org. They publish a poem every week, written by one poet and read by another. James Longenbach’s book is The Art of the Poetic Line (Graywolf Press, 2008). It is a very small book rich with examples of good poems. 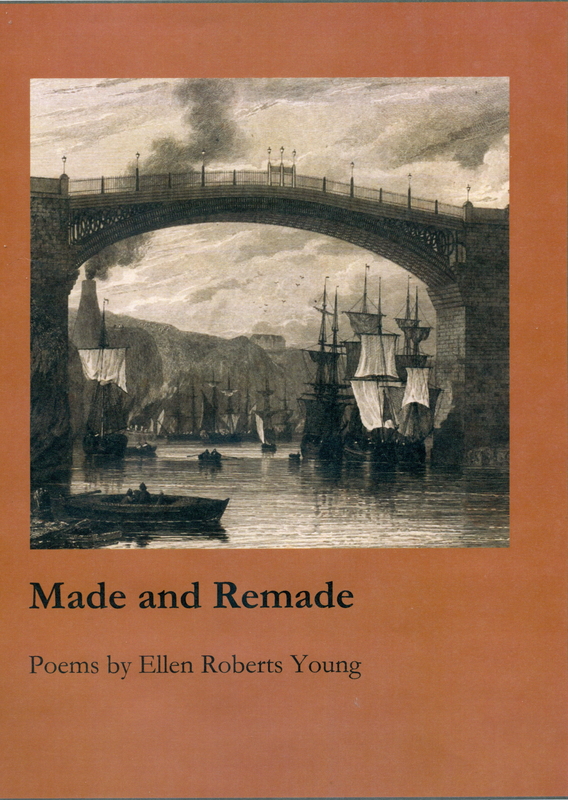 See the Books page for Made and Remade and use the Contact page if you’d like to get a copy directly from me.